Not only is it a beautiful time in the US for all kinds of activities, but countries all over the world are hosting celebrations and events worth the travel. Whether your heart belongs to the rodeo or you’ve always dreamt of a fair in Paris, below is a round-up of April’s most unique global events. What to expect: A celebration of Paris’ history with the most popular fair in France. Foire du Trône is the oldest festival in France. So old, in fact, that 2018 will be its 1080th year. Starlight: A ride inspired by astronaut training equipment, participants are strapped into a platform, raised up in the air, and spun 4 ways. Food: Foire du Trone has multiple food vendors set up market-style to suit any craving and give you the feel of historic France. What to expect: A once-in-a-lifetime opportunity to see the oldest biblical scrolls ever discovered. That’s right, the actual dead sea scrolls dating back over 2,000 years will be available for viewing right here in Denver. The discovery doesn’t stop there. This must-see museum exhibit will also feature the largest collection of Holy Land artifacts ever curated. Take a walk back in time to explore ancient Israel, the culture it birthed, and how it still impacts humanity today. What to expect: Citywide festivities, installations, and activities celebrating the rich culture of the Netherlands. Immerse yourself in everything Amsterdam at this inspiring celebrating of the capital’s history. 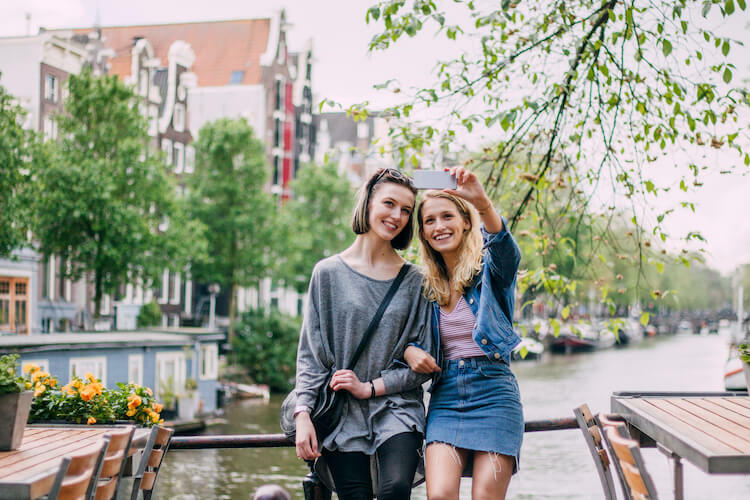 Explore the entire city without worrying about missing out on any of the fun — all around you will be new sights and activities like street vendors, canal floats, and sporting events. What to expect: Rodeo all-stars from around the world compete in a high stakes rodeo competition. Whether you’re a true cowboy or just a cowboy at heart, this event is sure to get your adrenaline flowing. Witness the world’s best rodeo stars compete in the most high-stakes rodeo competition of the year. Take a break between sporting events to enjoy live country music and all-American eats. What to expect: An African take on Burning Man. Run away to a city where all your creative desires can flow freely. With costumes, art and music performances and themes camps, you’ll feel like you’ve entered a whole new realm of possibility. Costumes are not only accepted, but recommended. Prepare the free spirit inside to let loose for a while. What to expect: The nation’s largest open house with over 250 sites displaying gardens. Virginian garden enthusiasts prepare year-round for this event to make sure their gardens are in pristine condition. Explore Virginia and all of its beautiful historic houses and even more beautiful gardens. Perhaps you can even take home some of the gardening ideas with you! What to expect: A miniature Olympics in Australia. Did you miss out on the Olympics? Get your spring sports fix at the beautiful Gold coast, Australia. Enjoy watching some of the world’s best athletes compete in sports like swimming, gymnastics, and volleyball. Celebrate with the rest of the city all week by participating in Festival 2018, featuring music, theatre, dance, and more.